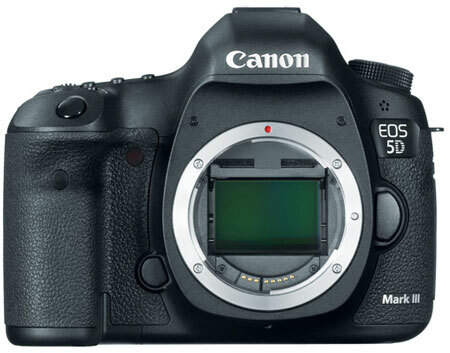 Camera EOS 5D Mark III in official sources is announced. 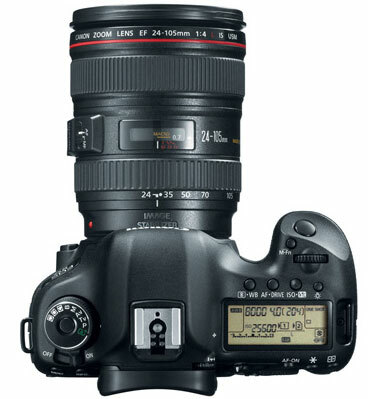 Technical characteristics were dream of any photographer and firm Canon has tried to carry out this dream. The price for the camera is declared 3500 US dollars and will appear on sale in March - April. 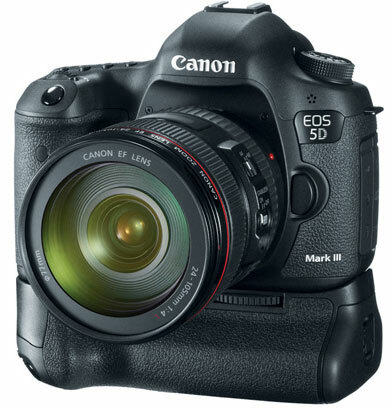 Predictably, company Canon declared release of new model of a series of mirror chambers EOS - EOS 5D Mark III. 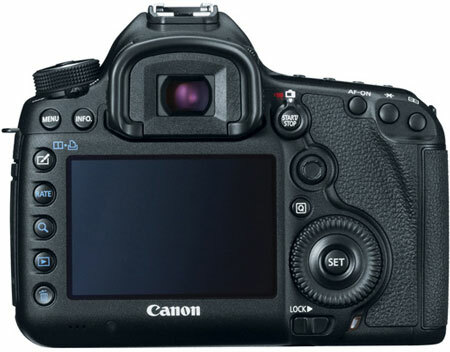 The novelty has inherited many possibilities of predecessor EOS 5D Mark II, let out in 2008, but has received the gauge большего the permissions, the raised speed of serial shooting, more productive processor and the expanded set of functions. Chamber basis is полнокадровый the gauge of the image the permission 22,3 Мп (at EOS 5D Mark II was 21,1 Мп), data processing is carried out by processor DIGIC 5 + (at EOS 5D Mark II - DIGIC 4), for autofocusing is used 61-dot system (at EOS 5D Mark II - 9 basic points and 6 auxiliary), and gauging is charged 63-zonnoj to system (at Canon EOS 5D Mark II - 35-zonnaja). 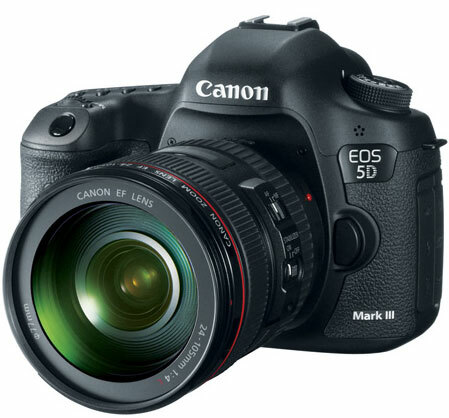 In other words, all preliminary data about EOS 5D Mark III, published by us on the eve of a chamber exit have proved to be true. - to 6 к/с (at Canon EOS 5D Mark II - 3,9 к/с) - application of the eight-channel scheme of data read-out from a matrix has allowed to receive high speed of serial shooting. The buffer volume is calculated on 18 images in format RAW.В EOS 5D Mark III the same system of autofocusing with 61 point is applied, as in flagman model EOS-1D X which has been announced in October of last year and soon should appear on sale. The range of a photosensitivity equal ISO 100-25600, extends to 102400, allowing to remove in the conditions of weak illumination. For exposition gauging the system iFCL with 63-zonnym two-layer датчикомВ to the chamber is used 14-bit data presentation is used. Processor DIGIC 5 + carries out correction виньетирования, chromatic aberrations and suppression of noise at high sensitivity ISO. In EOS 5D Mark III there was button Creative Photo which is intended for a fast choice of options Picture Style and record of several pictures of the same scene with a various exposition, and also direct access to a mode of shooting HDR. In a mode of viewing she allows to compare two images. Among others innovation EOS 5D Mark III - a mode of silent shooting in which loudness of operation of a shutter and a mirror considerably decreases, and a mode of the continuous silent shooting, allowing to embody fast-moving objects, not involving attention. Video shooting possibilities in format Full HD are expanded. The control of depth of sharpness is realised, there is a hand control an exposition and the expanded choice of variants of compression of video with high битрейтом, changeable frequency of shots in a range from 24 to 60 к/с and support таймкода SMPTE, simplifying work as several chambers. Monitoring of a sound during shooting is provided. The chamber in the case from a magnesian alloy is protected from adverse weather conditions. The shutter resource makes 150000 operations. The improved version of the intellectual view-finder for the first time presented in EOS 7D, has coverage of a shot of 100 %. Display Clear View in II size of 3,2 inches is borrowed at senior model EOS-1D X. The chamber has слот for cards CF (compatible with UDMA 7) and cards SD. Appointment слотов is programmed. Being system EOS part, model EOS 5D Mark III is compatible to more than 60 objectives EF and accessories to shooting, including new батарейную handle BG-E11. On sale the novelty should appear in the end of March. Into the complete set of delivery EOS 5D Mark III enters ON Digital Photo Professional 3.11.